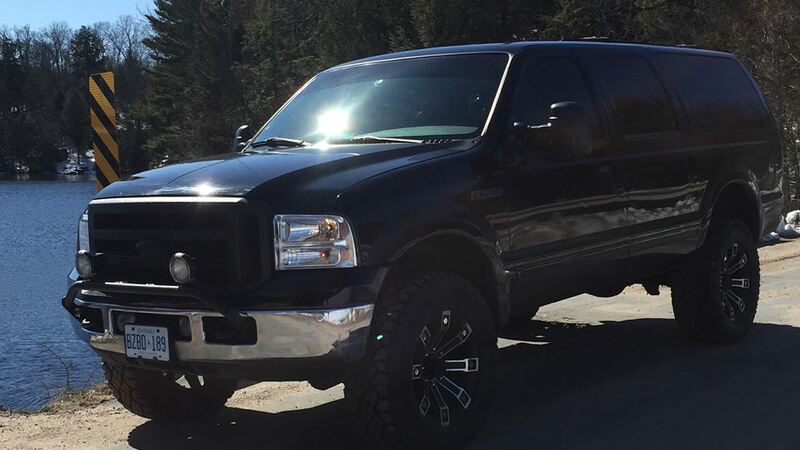 2000 excursion 7.3, turbo back exhaust, tuner and intake, sound system, 2006 front end conversion, airlift 5000 in the rear with compressor and gauge, 35" duratracs on 20" metal mullisha wheels. Kc bush bar with hid pods, led tail lights. Work in progress. Truck is originally from Texas, now in central Ontario.